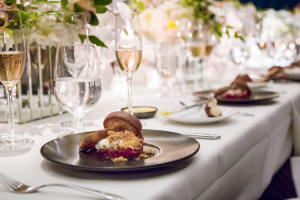 Kicking off spring in style, Atlas, located in the heart of Buckhead in the St. Regis Atlanta, is hosting the next edition of its popular Winemaker Dinner Series on Thursday, March 28, 2019 beginning at 6:30 p.m. The decadent evening will explore the history of Louis XIII Cognac’s producer and product and includes a welcome reception followed by a three-course pairing dinner created by Executive Chef Christopher Grossman. 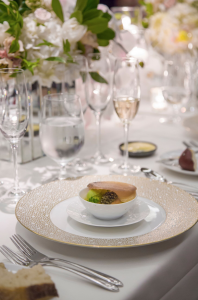 As guests dine surrounded by Atlas’ acclaimed art collection of 20th century works, they will be taken on a culinary journey featuring Château Palmer Brut Champagne, Domaine Ferret ‘Les Clos’ Pouilly 2016, Domaine Haut-Surget Pomerol 2014 and, of course, Louis XIII Cognac. The Louis XIII Cognac Winemaker Dinner is $395 per person, excluding tax and gratuity. For more information or to make a reservation call 404.600.6471, email Manager Eleanor Parker at eleanorparker@atlasrestaurant.com, or visit atlasrestaurant.com.